Sens. Angus King and Susan Collins speak in support of Jon David Levy a day after Republicans blocked his nomination hearing. A Maine supreme court justice who was nominated by President Obama to the federal district court bench appeared before a Senate panel Thursday, receiving recommendations that crossed party lines. The nomination hearing for Jon David Levy before the U.S. Senate Judiciary Committee was rescheduled quickly after Republicans used an obscure rule to block it from happening on Wednesday. Republicans invoked the so-called two-hour rule, which prevents committees from holding hearings more than two hours after the Senate has convened for the day without the consent of all senators. The Senate convened at 10 a.m. Wednesday and the hearing had been scheduled for 2:30 p.m. The delay was Republicans’ latest effort in the Senate to thwart confirmation of Obama’s judicial nominees after Democrats changed Senate rules last month to prevent the minority party from blocking lower-level nominees through use of the filibuster. Maine’s Sens. Susan Collins, a Republican, and Angus King, an independent who caucuses with Democrats, spoke in support of Levy at Thursday’s hearing. King called Levy “a judge’s judge” with the experience to be effective at the federal trial court level. When King was Maine’s governor, he nominated Levy for the state district court bench in 1995 and to the Maine Supreme Judicial Court in 2002. “Jon’s strong legal credentials, his outstanding judicial temperament, and his dazzling intellectual abilities make him a supremely well-qualified candidate for Maine’s federal bench, and I urge my colleagues to fully support his nomination,” King said. Collins parted with Republicans who have opposed Obama’s judicial nominees to recommend Levy. Levy, one of five judicial nominees vetted at the hearing, answered some probing questions from Sen. Chuck Grassley of Iowa, a lead Republican on the committee. Grassley asked Levy about comments he had made about legal representation in civil cases, and whether be believes parties in civil cases should be guaranteed representation. Levy said he has never taken a stance on whether legal representation should be constitutionally required in civil cases. But he said he supports having attorneys do pro bono work in civil cases. Levy, 59, needs a recommendation from the Judiciary Committee and approval from the full Senate to replace U.S. District Court Judge George Z. Singal, who assumed semi-retired status effective July 31. The Judiciary Committee is expected to make its recommendations within a couple of weeks, said Seth Larson, spokesman for Sen. Sheldon Whitehouse, D-R.I., who presided over the hearing. Carl Tobias, a professor of law at the University of Richmond in Virginia who focuses on federal judicial selections, said “it’s just a matter of time” before Levy is confirmed. 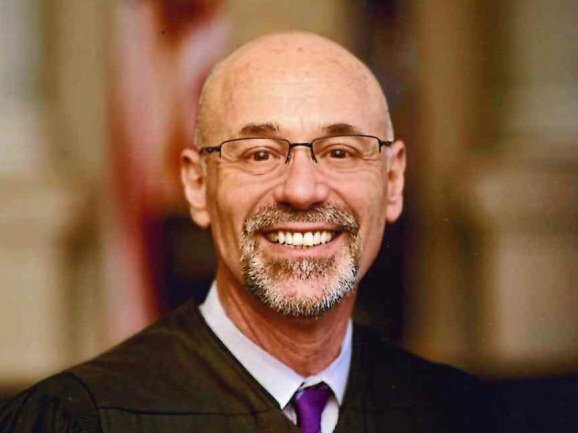 Levy would be one of three full-time U.S. District Court judges in Maine. The others are John A. Woodcock, appointed by President George W. Bush; and Nancy Torresen, an Obama appointee. The District of Maine also has two federal magistrate judges. Singal and Judge D. Brock Hornby have senior status and continue to hear cases on a semi-retired basis.